While accidents do happen, a lot of dental emergencies are avoidable with regular dental checkups and wearing a mouthguard to protect your teeth when high impact/contact sports. Handle it carefully-Pick the tooth up from the crown- don’t touch the roots of the tooth. Try to pop the tooth back into the socket as soon as possible- make sure it’s facing the right way! If putting the tooth back is not possible- Keep the tooth wet by popping it into a glass of milk, or hold it in your mouth until you can get to the dentist. See your dentist as soon as possible- within an hour is best! Prevention is always better than cure! When playing contact sports always wear a mouthguard to avoid damaging your teeth. Warm salt water rinses are good for relieving dental infections- but seeing your dentist is the only course of action to heal a dental infection. Cold compress to your cheek can help relieve swelling and pain also. Don’t put aspirin or painkillers directly onto tooth or gums. Use dental floss to remove anything trapped between your teeth. Toothaches are mostly caused from tooth decay or knocked teeth. Visit your dentist regularly to avoid toothaches! Use a cold compress to reduce swelling/pain. Always wear a mouthguard when playing sport to avoid damaging your teeth! A dental abscess is a raised dot on the gum of your tooth- like a pimple. See a dentist as soon as possible. A dental abscess is an infection and if left can spread to other parts of the body. Rinse with salt water and get to the dentist ASAP. Dental abscesses are caused by the nerve in the tooth dying. 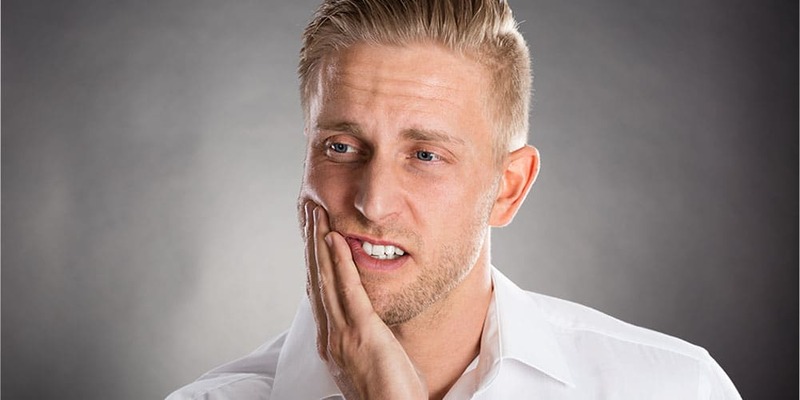 This can happen when dental decay is really deep and touches the nerve of the tooth OR when the tooth is knocked badly and damages the nerve. Visit your dentist regularly to keep dental decay. If something becomes stuck between your teeth- use some floss to gently remove it. If floss doesn’t work, refrain from using anything that may chip the enamel of your tooth. Don’t use anything sharp that could cut you if you slip! If floss, doesn’t work- see your dentist! More information on dental emergencies can be found here.